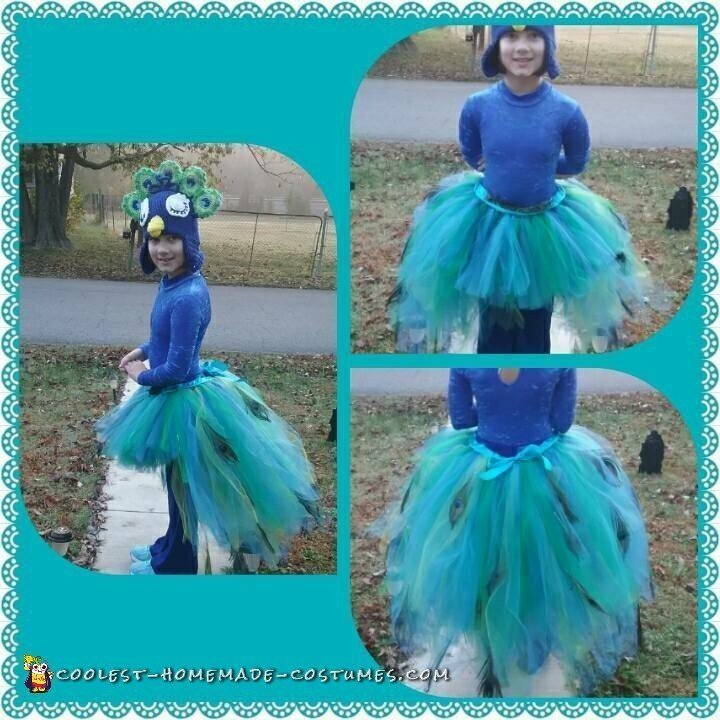 My Daughter originally wanted to be a spider, but suddenly changed her mind to a kids peacock Halloween costume. Obviously, I was more thrilled over needing to do a peacock. It was much better than worrying about spider arms. She told me what she wanted and I did my best to bring it to life. 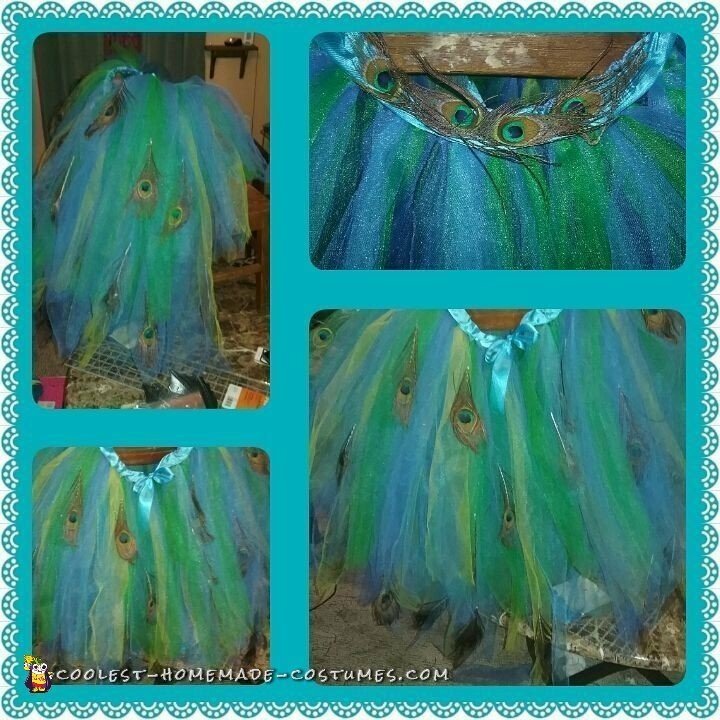 I created the details from the hat to her tutu skirt. 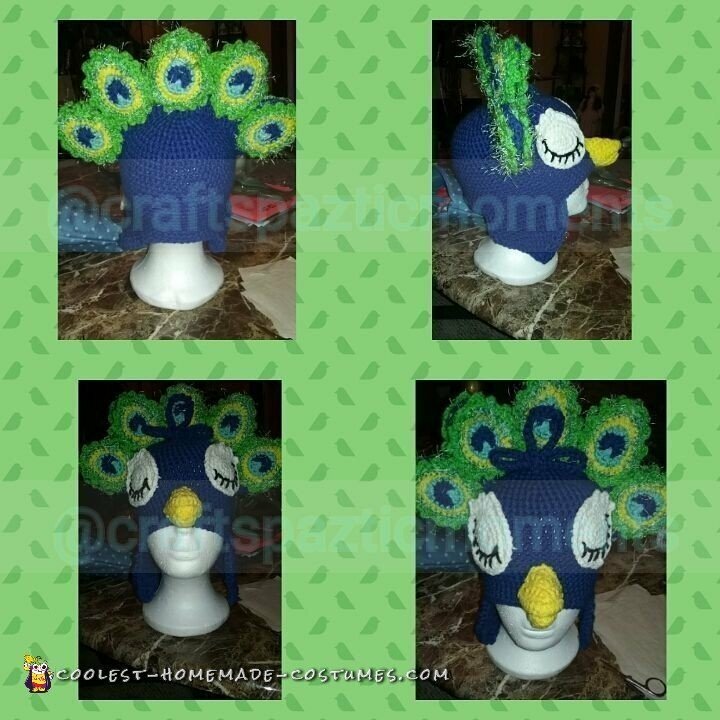 For the Peacock head/hat, she asked to have the eyes closed. This was due to her thinking that open eyes would have been creepy. In order to make the hat, I crocheted it. I did so using yarn and fur yarn. For the skirt I used tulle and ribbon. While also hot gluing peacock feathers randomly in the longer back of the skirt. The front of the skirt was cut shorter to give the illusion of a peacock’s tail in the back. My daughter wore a leotard and pants which were ordered on ebay from a gymnastics company. We have had multiple compliments in regards to the costume. I have to admit; I’m more of a Proud Peacock mom. I am so glad that it turned out as well as it did and that we were able to get a lot of attention from others. My Daughter kept saying she was popular because her mommy made her homemade costume. It was a labor of love. I am a single mother; I used what I could in order to give Sonny the best costume I could, every little needle prick from sewing the head piece together was three times worth the smile it put on her face.